Turmeric, Several plants, and their extracts have been reported to have health benefits, and it can be difficult to know what is true. Are all these things as good as they seem? For turmeric, the answer is a resounding yes! Turmeric is an herbal plant grown in Asia. The roots are used to make the yellow spice turmeric, which is most commonly used in Indian, Pakistani, Bangladeshi, and Iranian cooking. It is the main spice in curries and is also used to color cheese and butter. Although the health benefits of turmeric have been known for thousands of years in traditional Chinese and Ayurvedic medicine, it has only recently been appreciated in Western medicine. Curcumin is a phenolic curcuminoid that is thought to be responsible for many of the health benefits of turmeric. It has potent and well-characterized antioxidative and anti-inflammatory effects. Read on to learn more about the other ways in which this amazing spice can boost your health. Cancer development is a highly complex process that involves DNA damage, inflammation, and the disruption of cellular signaling and death pathways. Although the data are preliminary, there is a certain amount of excitement in the oncology community because curcumin can affect several of these pathways to exert anticancer effects. 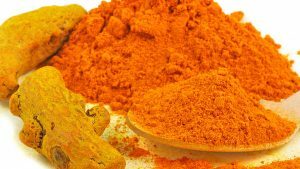 Specific clinical trials in patients with cancer are ongoing, but the available results suggest that curcumin could be an effective treatment for multiple cancers, including multiple myeloma, head, and neck squamous cell carcinoma, and pancreatic, prostate, breast, colorectal, lung, and oral cancers . An exciting recent discovery is that turmeric could improve cognitive function in elderly individuals. An Australian study published in April 2016 administered placebo control or a form of curcumin to 96 community-dwelling older adults for 1 year. Various cognitive functions were tested before treatment and at 6- and 12-months. Subjects that received placebo exhibited a cognitive decline at 6 months, whereas those that received curcumin did not . Although the Australian study was not definitive, the available data suggest that curcumin could have several anti-Alzheimer’s disease effects such as preventing the production and aggregation of β-amyloid in the brain and also regenerating brain cells . Taken together, these data suggest that the regular intake of turmeric might reduce the aging-associated decline in cognitive function. As anyone reading this blog understands, declining testosterone levels during normal aging are associated with several negative effects on health. Recent research has suggested that turmeric might increase testosterone levels in different ways. First, it can help reverse a number of conditions that can contribute to reduced low testosterone production, such as high cholesterol and dysregulated blood sugar. The anti-oxidative effects of turmeric can also prevent oxidative damage to Leydig cells in the testis, which could, in turn, normalize with testosterone injections. In mice, turmeric could improve fertility by protecting the testes from various stressors [4, 5]. Who knew that eating curry could improve your testosterone levels and fertility! It can increase the levels of HDL or good cholesterol and lower the levels of LDL or bad cholesterol . This is important because low HDL levels and high LDL levels are risk factors for metabolic syndrome and type 2 diabetes. It reduces blood glucose levels and improves glucose metabolism in rodent models, suggesting that it could be an effective treatment for diabetes . Now you know about just some of the health benefits of turmeric, it is important to understand how to make the most of it. 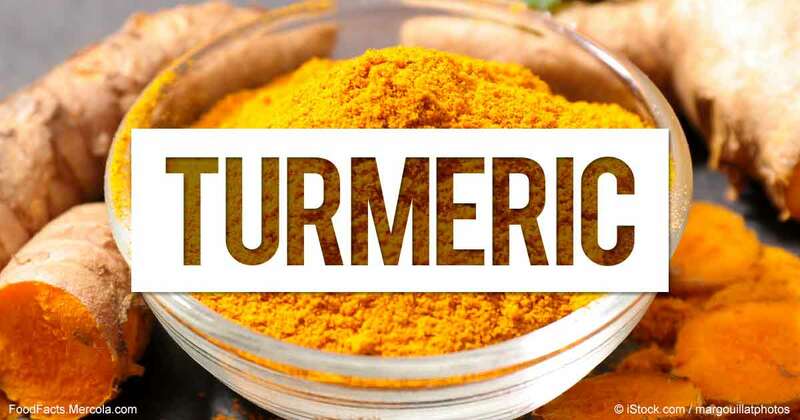 As with all drugs or supplements, the actions of turmeric are limited by its bioavailability, which is defined as the amount that is biologically available to exert its physiological effects. The bioavailability of a drug declines as it is metabolized in the liver, which is a particular concern with any drug or supplement that is administered orally. One of the best ways to increase the bioavailability of curcumin is to consume turmeric-rich foods with black pepper. Black pepper contains a substance named piperine, which is a potent inhibitor of UDP-glucuronosyltransferase (one of the liver enzymes responsible for drug metabolism) . Indeed, eating even a small amount of piperine with turmeric could increase the bioavailability of turmeric by around 2000% . Curcumin absorption can also be enhanced by consuming turmeric with fats because turmeric is fat-soluble. There are two ways to achieve this: ingest turmeric powder with a healthy fat such as olive oil, or consume natural turmeric root, which contains natural oils that promote its solubility. Gupta, S.C., S. Patchva, and B.B. Aggarwal, Therapeutic Roles of Curcumin: Lessons Learned from Clinical Trials. The AAPS Journal, 2013. 15(1): p. 195-218. Rainey-Smith, S.R., et al., Curcumin and cognition: a randomised, placebo-controlled, double-blind study of community-dwelling older adults. British Journal of Nutrition, 2016. 115(12): p. 2106-2113. Goozee, K.G., et al., Examining the potential clinical value of curcumin in the prevention and diagnosis of Alzheimer’s disease. Br J Nutr, 2016. 115(3): p. 449-65. Lin, C., et al., Curcumin dose-dependently improves spermatogenic disorders induced by scrotal heat stress in mice. Food Funct, 2015. 6(12): p. 3770-7. Coskun, G., et al., Ameliorating effects of curcumin on nicotine-induced mice testes. Turk J Med Sci, 2016. 46(2): p. 549-60. Yang, Y.S., et al., Lipid-lowering effects of curcumin in patients with metabolic syndrome: a randomized, double-blind, placebo-controlled trial. Phytother Res, 2014. 28(12): p. 1770-7. Nabavi, S.F., et al., Curcumin: a natural product for diabetes and its complications. Curr Top Med Chem, 2015. 15(23): p. 2445-55. Grill, A.E., B. Koniar, and J. Panyam, Co-delivery of natural metabolic inhibitors in a self-microemulsifying drug delivery system for improved oral bioavailability of curcumin. Drug Deliv Transl Res, 2014. 4(4): p. 344-52. Shoba, G., et al., Influence of piperine on the pharmacokinetics of curcumin in animals and human volunteers. Planta Med, 1998. 64(4): p. 353-6. 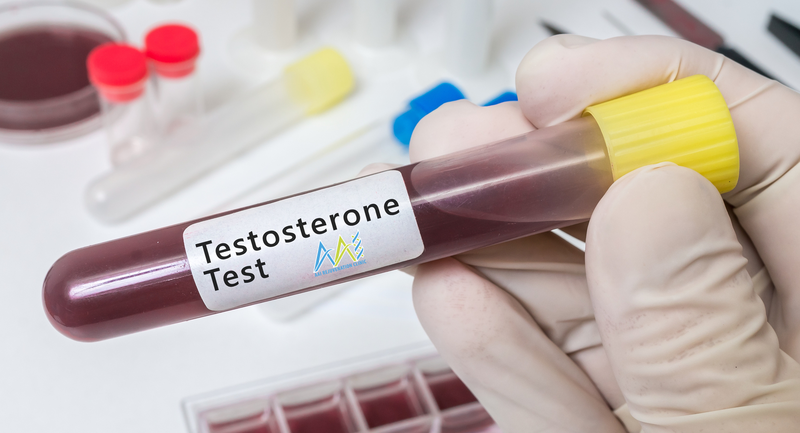 What Can Honestly be Expected from a Testosterone Protocol?